Have you heard of the Baader-Meinhof effect or the frequency illusion? You've almost certainly experienced it. It's a common psychological phenomenon where something that has recently come to your attention seems to appear again and again with improbable frequency. For example, you've bought a new car, a red Subaru. Then as you're driving around in your shiny new car, you see all the red Subarus on the road you'd never noticed before. I had a minor Baader-Meinhof experience yesterday. Immediately before the Club meeting, a group of us had been preparing for our upcoming 'Design Jam' workshop in which we will be applying 'design thinking' principles to the problem of Rotary membership. The idea of different ways of thinking was fresh in my head. 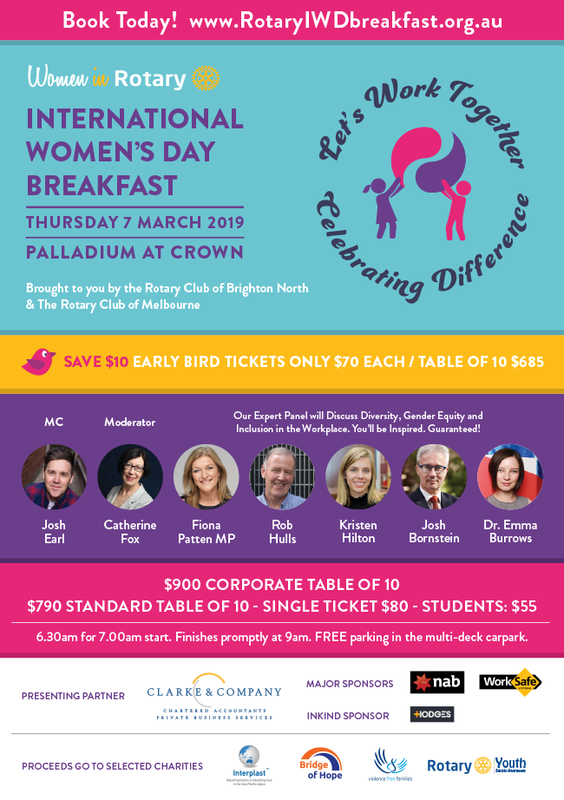 Then as our guest, Judy Carruthers, spoke about community change and the role of the International Women's Day Breakfast, up on the screen in her presentation appeared this quote from Albert Einstein: "The world as we have created it is a process of our thinking. It cannot be changed without changing our thinking." Changing Rotary thinking is at the same time essential, a challenge and a conundrum. 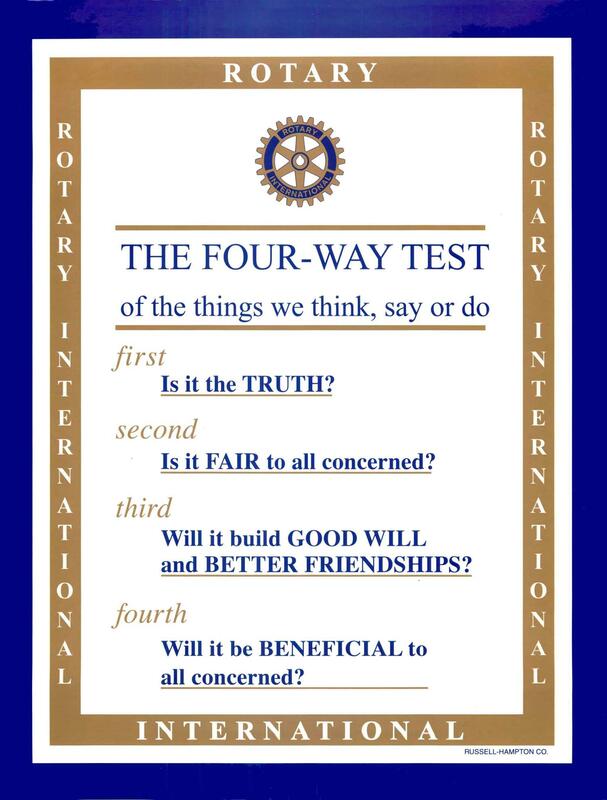 It is a conundrum because there are many current members of Rotary who are personally happy the way things are. They enjoy the fellowship and projects that have become part of the rhythm of their lives. For those who are satisfied with the way things are, it seems the advocates of change are trying to fix something that isn't broken. It is essential that any plans for change pay due respect to long-serving happy Rotarians. On the other hand, there are plenty of indicators that warn that changes in Rotary and Rotary thinking are vital if it is to survive. To ignore the need to accommodate the rapidly changing world is to invite the Kodak effect. On a less philosophical note, it was a delight at this week’s meeting to welcome back to the Club former Rotary Exchange student Irene Pendolin. 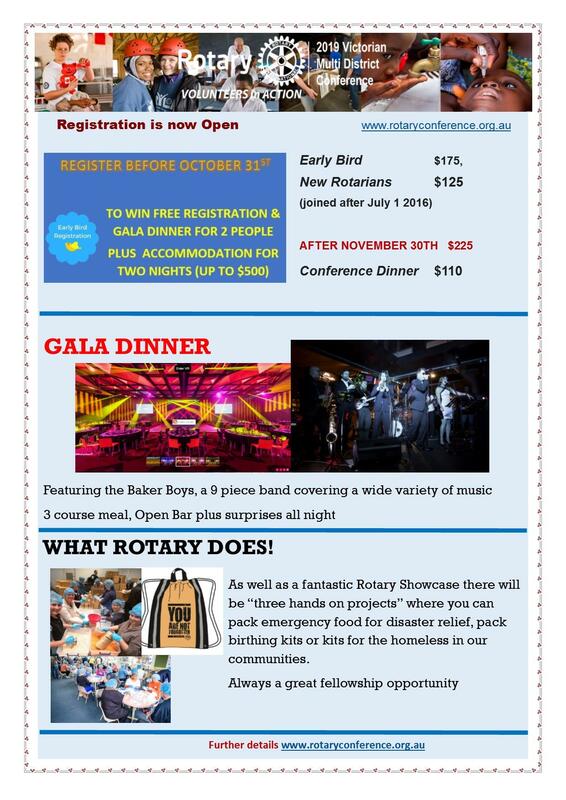 Rotary Youth Exchange is a fabulous scheme that sadly seems to have diminished in recent years. 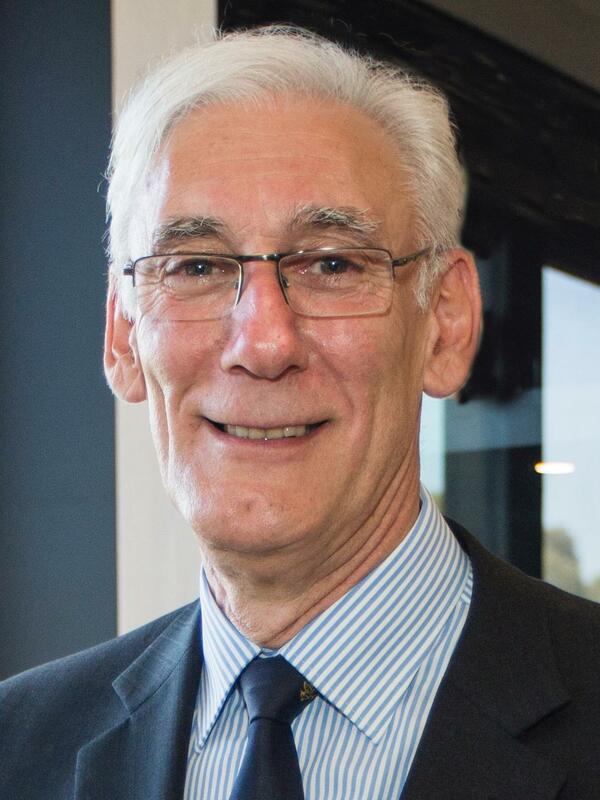 Finally, I remind members we are in for a Ripper presentation from our own Dennis Shore at next week's Club meeting as he shares his experiences of being the 'RIPR'. Looking forward to seeing a big crowd. The money helped to give those women additional skills that Woollard hoped would help them lead a dignified life, away from the discrimination they experienced in their marginalised communities. 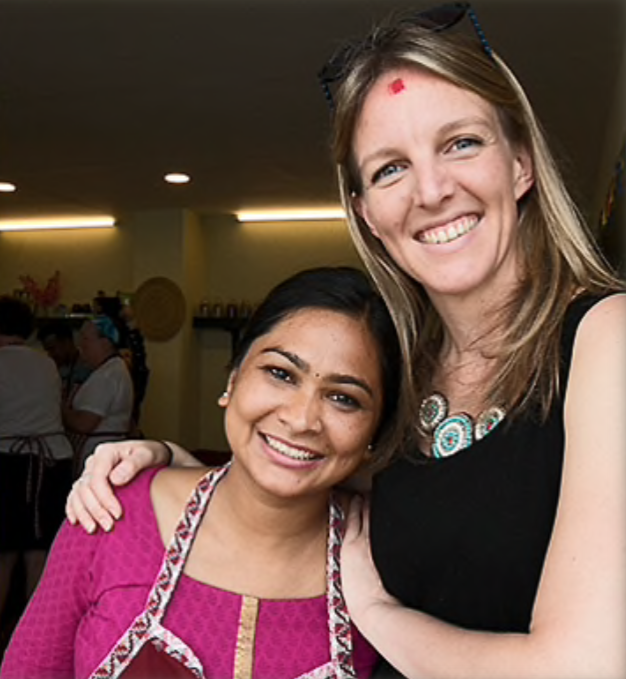 In 2006, Ms Woollard started a company called Seven Women in the Nepali capital Kathmandu. Her goal was to help the women produce items that could be sold locally and internationally. After 13 years, the project is said to have helped more than 5,000 Nepali women, and Ms Woollard has been awarded the Medal of the Order of Australia in the general division, for her service to the international community through humanitarian aid. Speaking to SBS Nepali, Stephanie Woollard said the award would give her an opportunity to share Seven Women’s success story with a broader audience. In 2016, Ms Woollard was awarded the Inaugural International Responsible Business Award at the United Nations headquarters in the US. The DDFs available to your district are based primarily on the amount that district members have contributed to the Annual Fund-SHARE over the past three years. 1. District grants: District grants fund small-scale, short-term activities that address needs identified by clubs in your district. 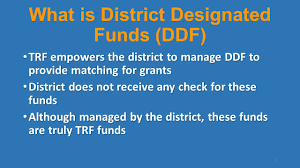 Each year, your district may request up to half of your DDF money in a lump-sum grant to be used for district grants. These grants are flexible. They can be used for activities that don’t align with one of Rotary’s areas of focus but that still fulfill the Foundation’s mission. 2. Global grants: Did you know that you can also use DDFs to support global grants? These large-scale projects combine DDFs or cash raised by sponsoring Rotary clubs and districts with matching funds from the Foundation. The DDFs you give to these grants is matched 100 percent by the World Fund, so Global Grants are a powerful way to make the most of your DDFs. 3. 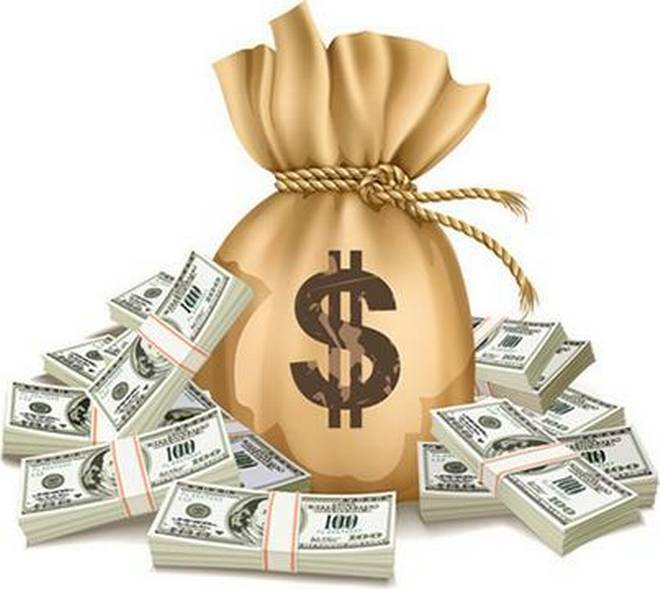 Donations to PolioPlus: Every dollar of DDFs that your district contributes to PolioPlus is matched 50 percent by the World Fund, up to $5 million. In addition, every dollar Rotary commits to polio eradication, up to $50 million a year, is matched 2-to-1 by the Bill & Melinda Gates Foundation. So that’s an even bigger return on your DDFs. 4. Contributions to the Rotary Peace Centers: Your district can become a Peacebuilder District by allocating a minimum of $25,000 in DDFs to the Rotary Peace Centers each year. Donations fund up to 100 Rotary Peace Fellowships each year. 5. Support of the Endowment: Rotary’s Endowment ensures that future Rotarians will have the resources to design and implement sustainable projects year after year. When you give DDFs toward one of the six areas of focus, Rotary preserves and invests your initial contribution while spending a portion of its earnings. This strategy supports Rotary’s causes today and generates funds to further that important work in the future. 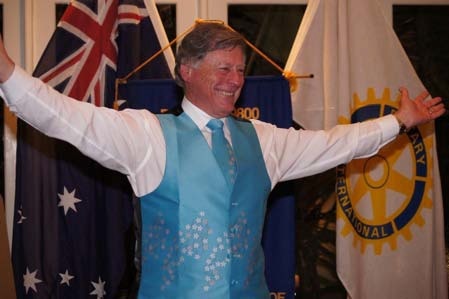 Vance Anthony Hilton OAM, KSJ, PHF dedicated his life to Rotary serving over 35 years at Club. He was District Governor in 1999-2000. Vance lost he battle with Parkinson’s disease on 29 September 2018. 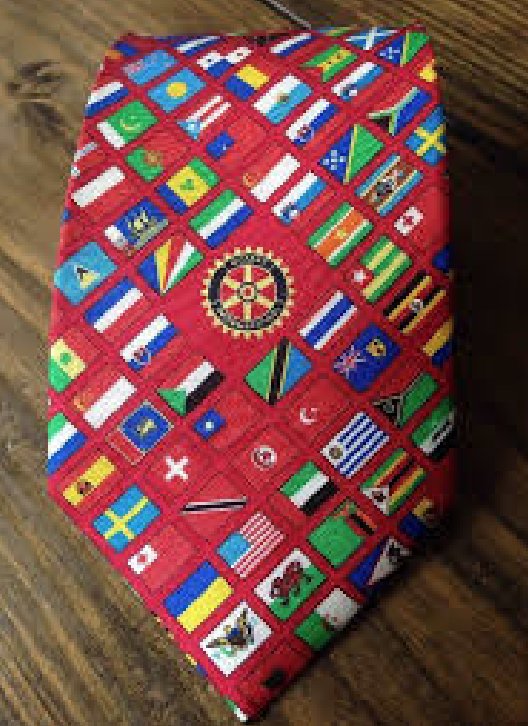 It was Vance's wish that we would raffle this Limited addition "Flags of the World" tie which was purchased at the Centenary Convention in Chicago and is beautifully presented in a display box. The money raised is going to Parkinson's Research with the hope that we can make lives better for those living with Parkinson's. Selling raffle tickets to members. Books of 10 Raffle tickets are $5.00 a ticket. The Shadow was delighted to see so many Rotarians in rude good health after the summer break, sporting sun tans from the golf course and the beach. 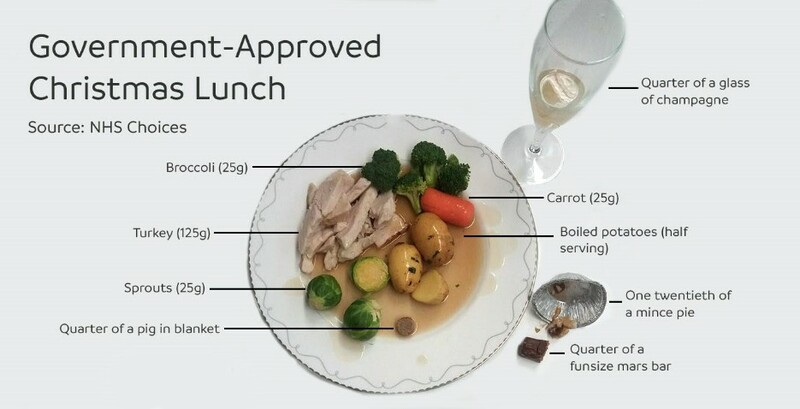 And more than a few carrying a pound or two of extra weight: all that good cheer and plum pudding obviously hit the spot. 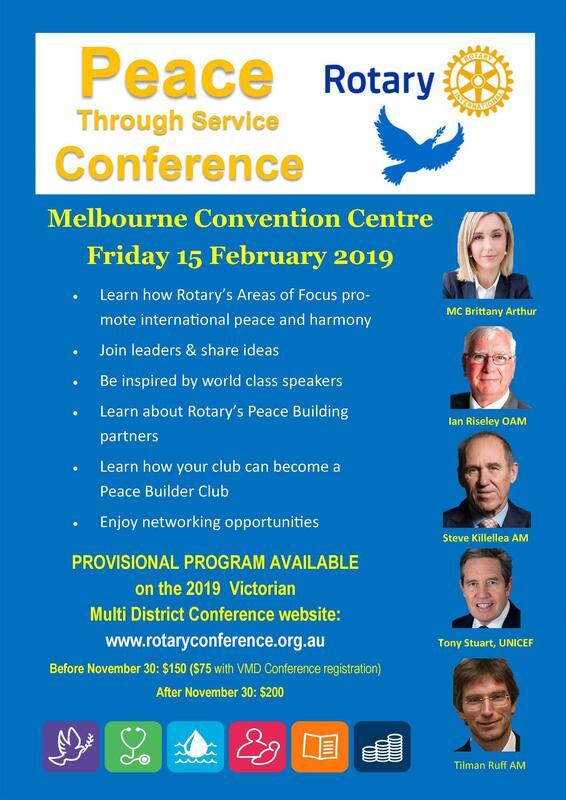 President Ian Bentley welcomed us back, and we went straight into announcements: PDG Dennis Shore alerting us to the Rotary Peace Through Service Forum on Friday February 15th, as a kick-off for the Multi-District Conference. During the 2017-18 Rotary Year, RI President Ian Riseley convened six very successful Presidential Conferences in cities around the world, to show how Rotary can work with others to prevent and resolve conflict from international and local perspectives. This year he has an impressive panel which is sure to provide some stimulating discussion. Vocational Service Chairman, Dr. Kevin Rose reminded us that January is Vocational Service Month. He gave us a gentle nudge: can we recall the Four-way Test? Club Service Chairman Noel Halford gave an update on the Wednesday group, our fundraising, and outlined our projects that require support. Some new fundraising ideas are needed, and Noel floated a few: 1) a duck race on the Yarra at Moomba, 2) Sale of first-aid kits, 3) re-usable coffee cups, 4) lunar new year event and 5) a swap meet. The Shadow was thrilled to see our old friend Stephanie Woollard recognised in the Australia Day Honours list, so we include a little about her “Seven Women” project in this issue. The Shadow also congratulates PDG Don Jago and Peter Allen of Camberwell RC, Jill Forsyth of Kew RC, and John Hudson of Glenferrie RC on their well-deserved recognition. It was a treat to see our former exchange student Irene Pandoline from Finland on a visit back after twenty-odd years. She has re-visited her host families, and is seen here with Henry Drury, Bill Troedel, Cheryl and David Pisterman. Another Rotary Student Exchange success story! 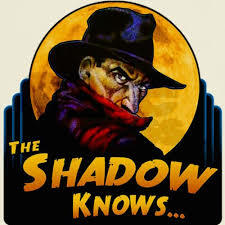 The Shadow always strives to be politically correct, in order not to hurt the tender feelings of our readers.